Limited Run Games is now taking pre-orders for the physical version of Shantae and the Pirate’s Curse. Along with a regular version, two collector’s editions are planned. 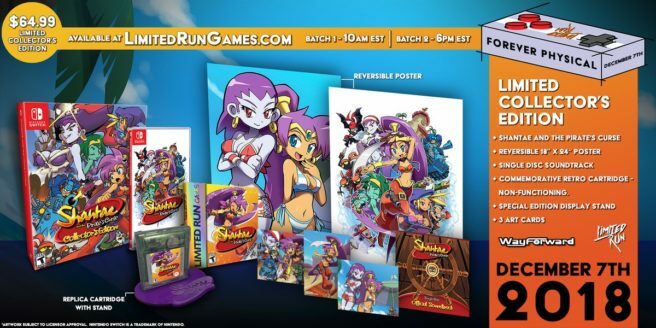 All three editions of Shantae and the Pirate’s Curse on Switch can be found on Limited Run Games’ website here. The collector’s editions likely won’t last long.